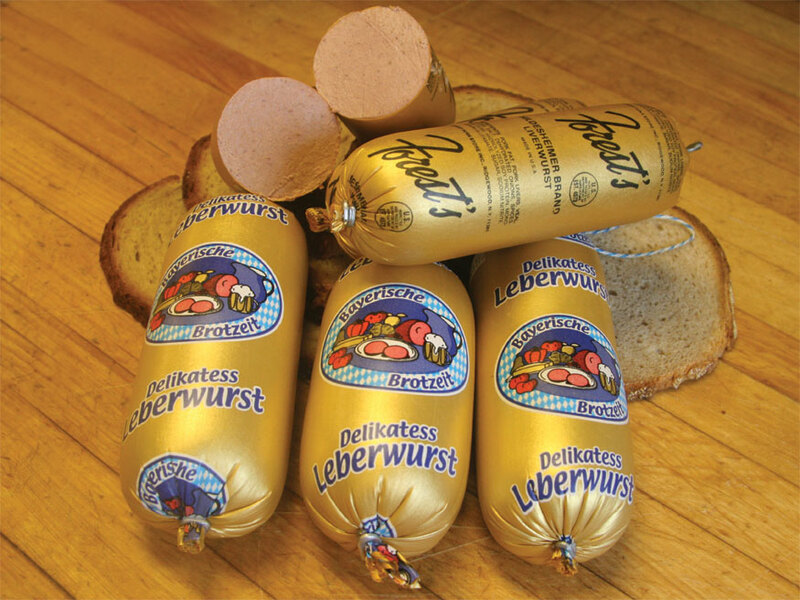 Liverwurst is the popular choice of German cuisine. 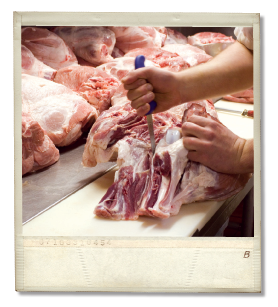 It is easily spreadable and usually eaten as-is on bread or crackers. 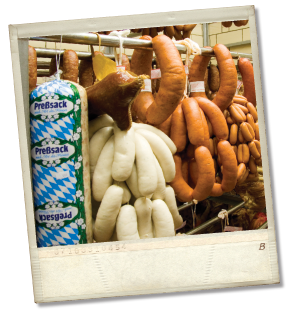 There are numerous varieties of liverwurst for each distinct region of Germany and is important to cultural identity. 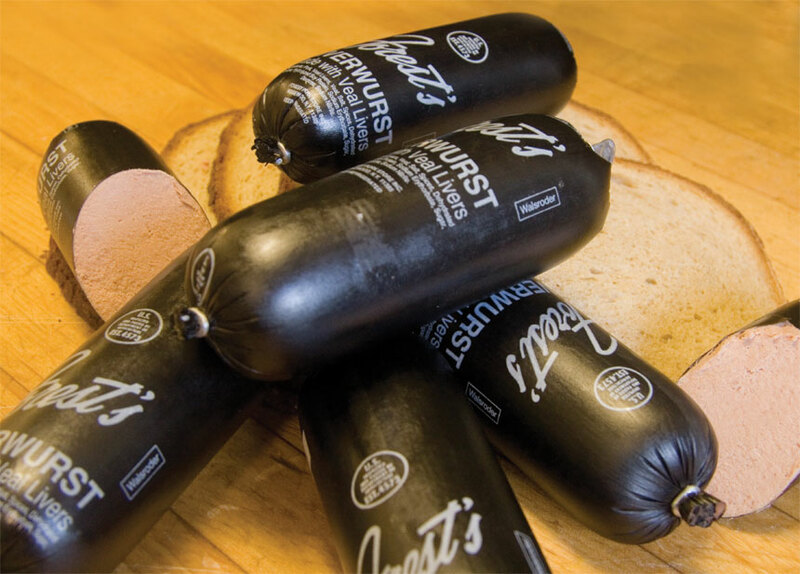 Our most popular liverwurst - deli style for spreading. 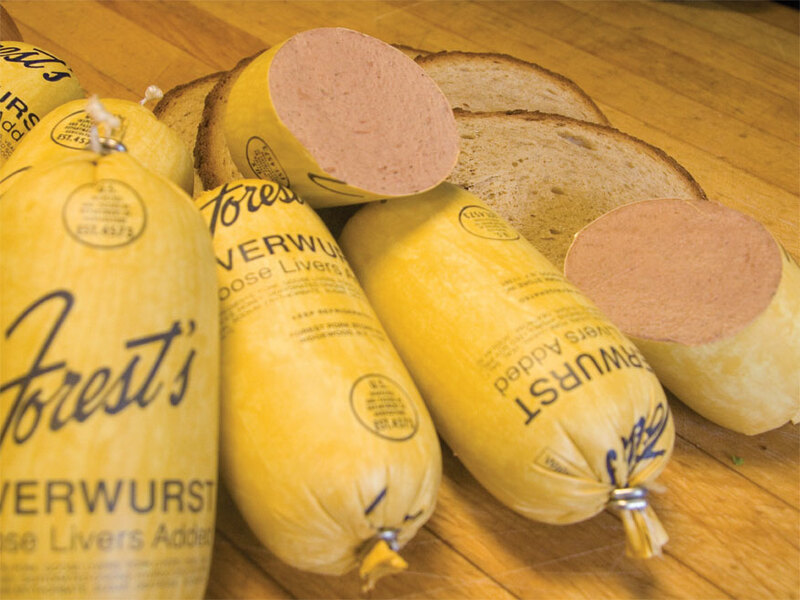 The traditional German style liverwurst from a recipe handed down for generations. 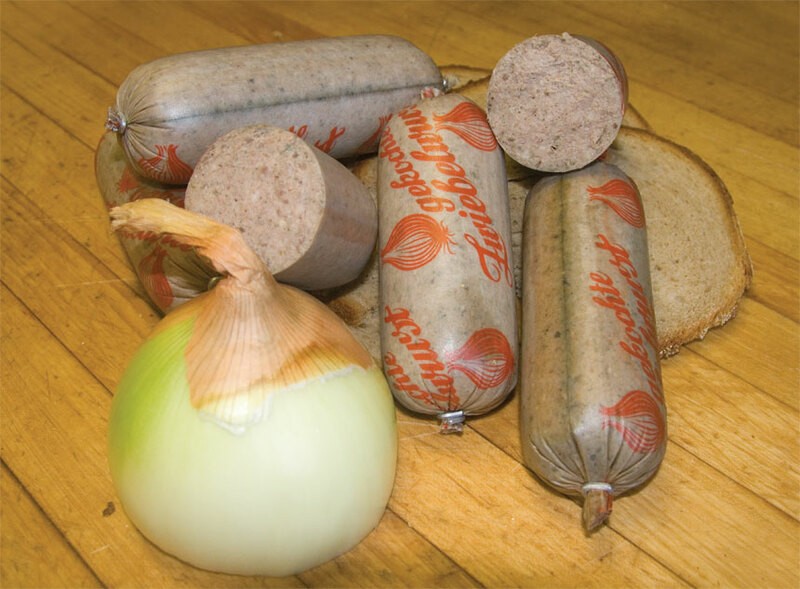 Onion liverwurst. 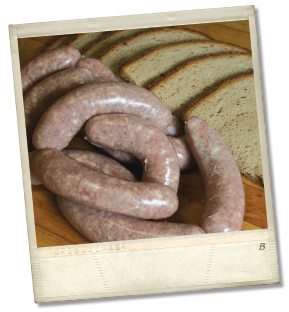 A house favorite made from an Old World recipe known only to the Wurstmacher himself. Very popular at Christmas. 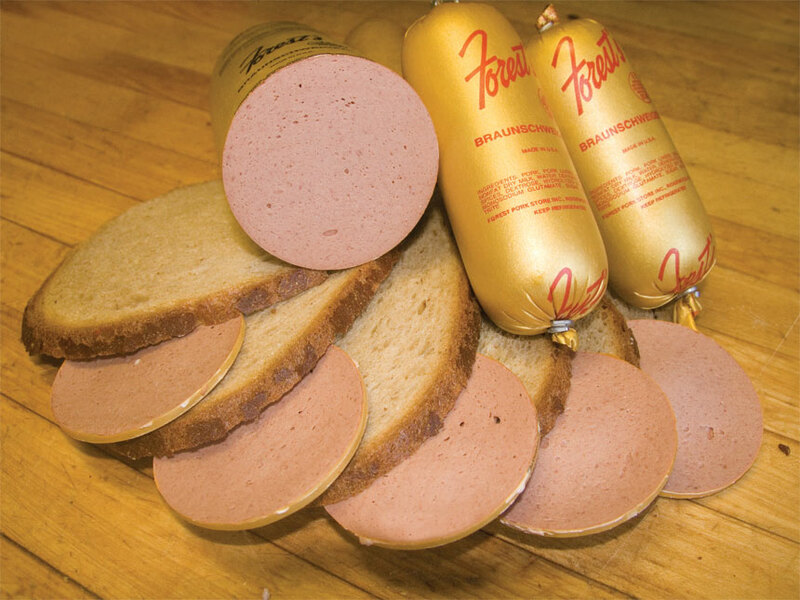 The famous Forest Pork Store liverwurst with bits of goose liver. 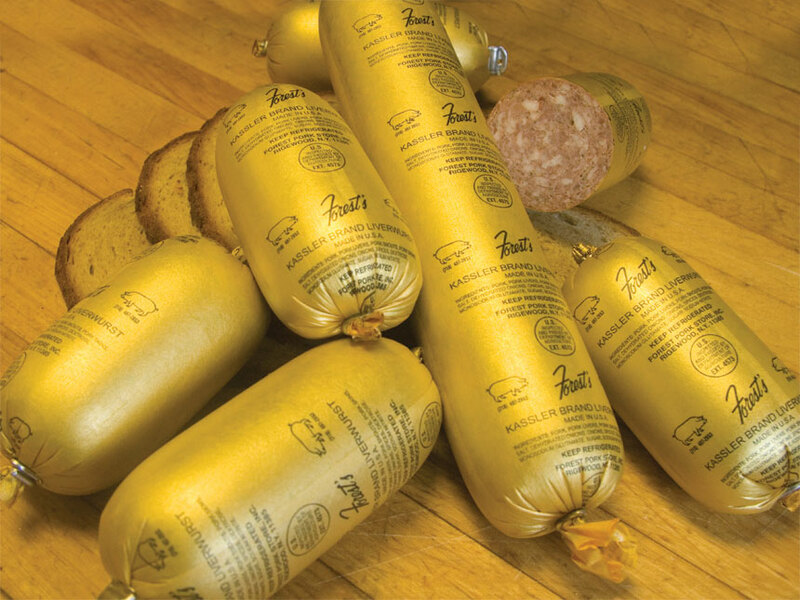 Veal liverwurst mildly seasoned for spreading on bread or crackers. Coarse cut liverwurst with roasted onion and bacon bits. 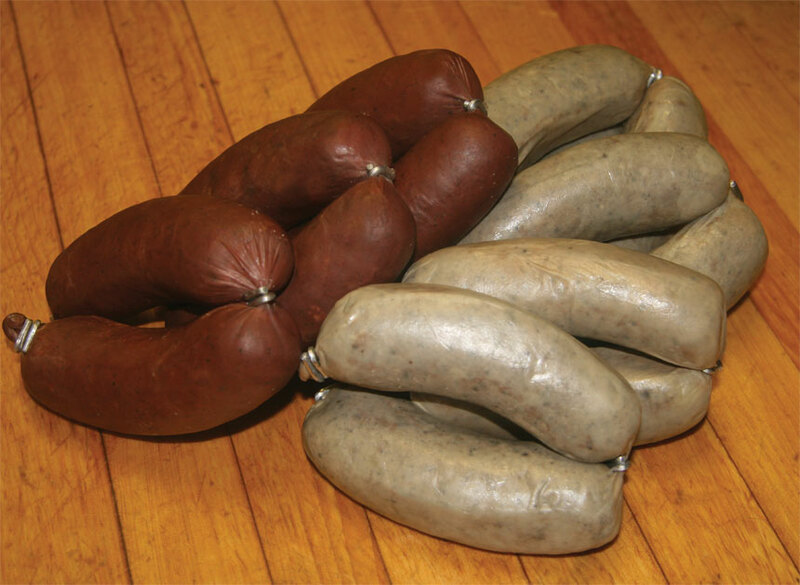 Blood and liverwurst - farmer’s style blood and liverwurst links.